Plastic strap is soft, durable and comfortable to wear. Electronic movement with IC chipset ensures accurate time keeping and long durability. 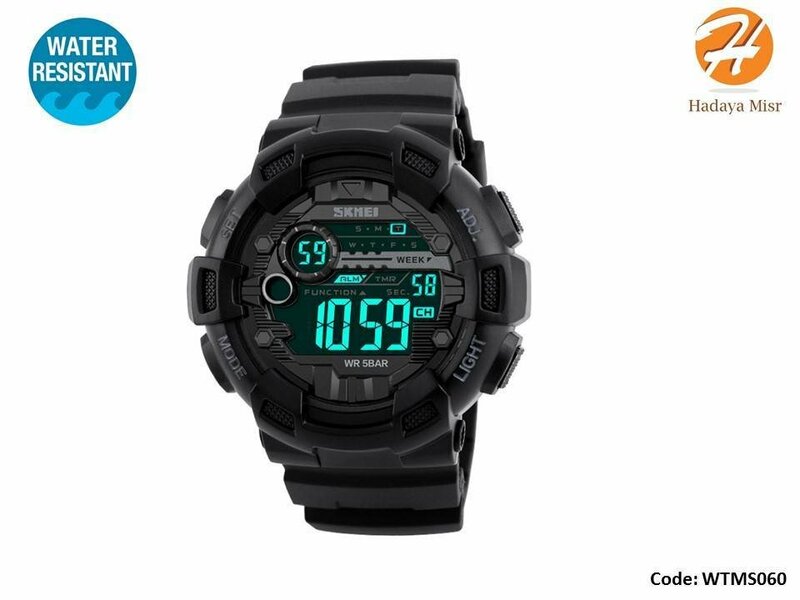 Designed with functions of 12 / 24 hours display, chronograph, dual time, countdown, back light, alarm, date and week. EL back light provides convenient time recognizing at night. 50m waterproof is enough to meet your daily needs, like washing hands, bathing, swimming, etc. Resin glass with high transparency is hard, pressure proof and waterproof. Adjustable pin buckle is comfortable and convenient to wear.